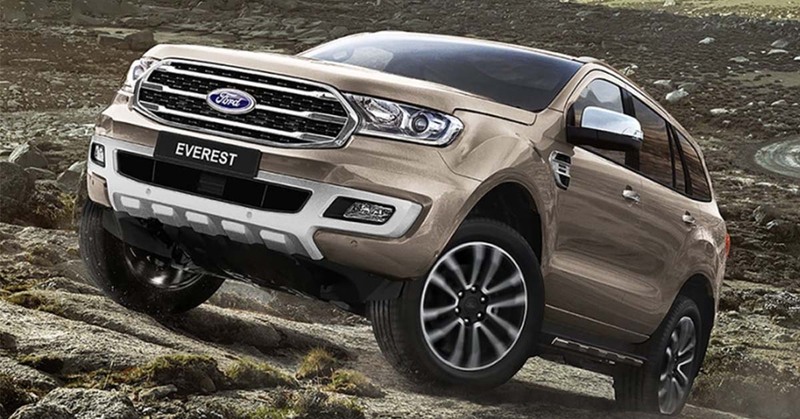 Ford, the global automobile giants are gearing to bring in the updated version of Endeavour to India this month on February 22, 2019. Having been circulated in the news for long, it has finally been put to action that Ford is bringing the facelifted edition of the mammoth Endeavour, the most capable SUV as it is marketed by Ford. The current ongoing edition of Endeavour has been around since 2016 and it was the time that Ford brought some changes to help ward off the competition in the market. The new updated model will be equipped with lots of new techs and will have entirely different exterior and subtle changes in the interior. It will incorporate new bumpers, grille, headlamp inserts and have the all-new larger 20-inch wheels with the diamond cut finish. The interior will bear soft-touch materials for a classy finish and will have backlit buttons along with chrome bits. It will also have the Infotainment system, with the size same as of current edition but will be synced with Ford’s very own Sync3 interface, and will replete with the connectivity options like Apple CarPlay and Android Auto. The feature list gets extensive on this one with options like handsfree tailgate opening option, autonomous emergency braking option and more. As far as the engine specs go, Ford will bring in the BS-VI equivalent engine bearing 2.0-liter diesel engine in the future whilst continuing with the current 2.2-liter and 3.2-liter diesel based engine till then. It will take on the likes of Mahindra’s flagship Alturas, Toyota Fortuner, Isuzu Mu-X, Mitsubishi Pajero Sport and more. Next postWill Honda’s new strategy work wonders for their sales or will they fail miserably?